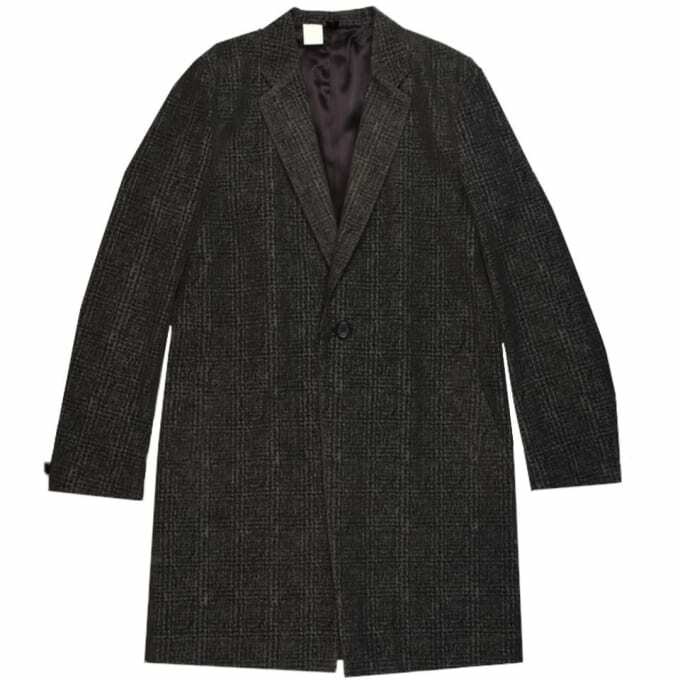 This is a nice Chesterfield coat from N. Hoolywood. It’s got a single button, which is how you know it’s perfect for that early winter morning coffee run. The kind you would say you always do if you ever got one of those "daily routine" stories that cool guys are always featured in. You’d wear a really classy, kind of minimal coat like this, a tonal knit cap with pants that are too tight and seasonally inappropriate sneakers. The third and fourth shots of the profile would be you standing in front of your favorite ethnic food spot and wandering through your local bookshop.